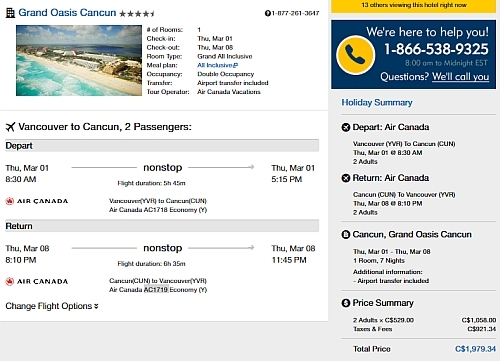 Air Canada Vacations has dropped the price of a 1 week all inclusive package from Vancouver to the Grand Oasis Palm in Cancun, Mexico down to $989 CAD (per person) including taxes. The Grand Oasis Palm has 4 circles on TripAdvisor with 50% of reviews rating it as Excellent. The flights are with Air Canada Rouge and are non-stop both ways. 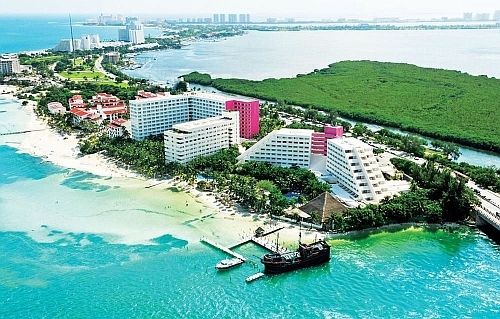 The Grand Oasis Cancun is available on the same dates, for the same price, but the reviews aren't as good. vancouver, yvr, mexico, all inclusive deals, air canada vacations, cancun, north america and grand oasis palm.